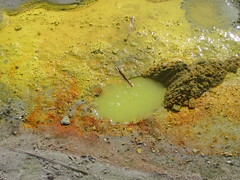 The smell of sulfur wafted over its ground. 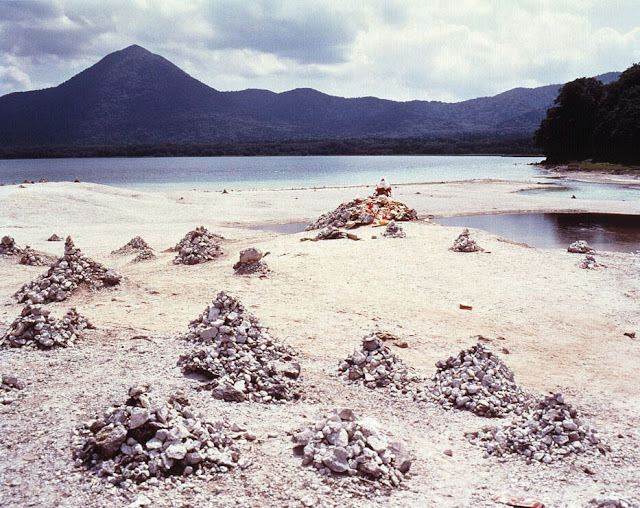 The temple has 136 hells and a paradise. In Japan, there are a lot of hells(jigoku) such as Owakudani(Great Boiling Valley) in Kanagawa, jigoku of Beppu in Oita. 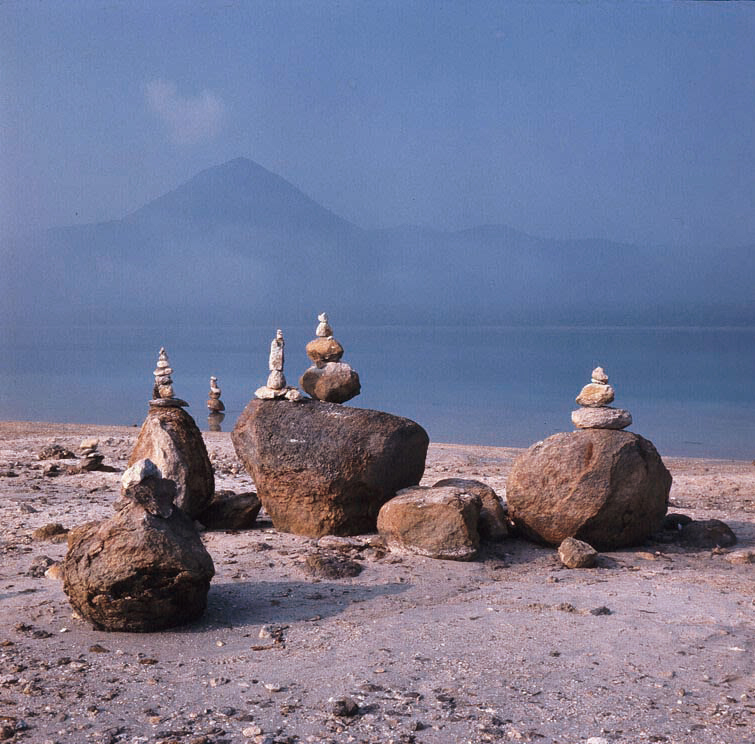 People in the past thought the view of a volcanic area resembled a hellish picture in Japanese Buddhism. Blood Pond Hell is said to be a pond located in Hell. It is said the water looks red due to color change in algae. It doesn't always look red. Jizo(Ksitigarbha) is one of Buddhist bodhisattvas. His mission is to save people between Buddha's death and the appearance of Maitreya(弥勒菩薩, Miroku-bosatsu). Yama(閻魔大王, Enma Daio) is the lord of death and give sentence on the dead. Jizo and Yama are opposite sides to the same coin. Ancient people associated Jizo with a belief in a travelers' guardian deity, so its statues were located to hornor it by roadsides around Japan. He is also regarded as the guardian of children because he saves children who have to pile stones eternally like Sisyphus at Sai-no-kawara, the banks of the Sanzu River. The children can't cross the Sanzu River because they predeceased their parents. 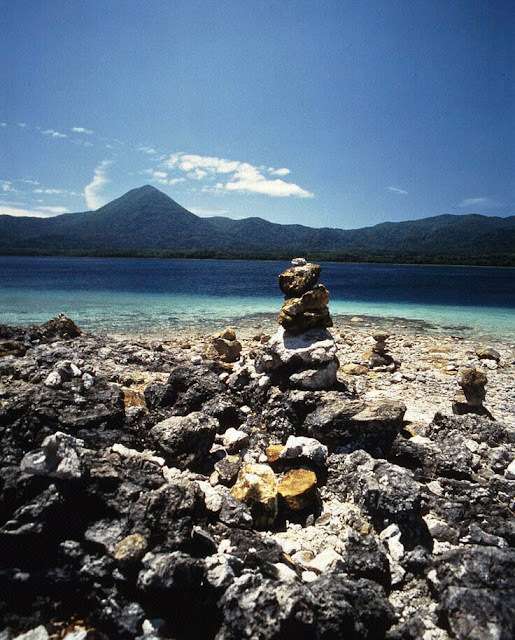 They are bullied by ogres at Sai-no-kawara. Stone piles were build by the bereaved to console the spirits of their deceased family members. Leave them alone. 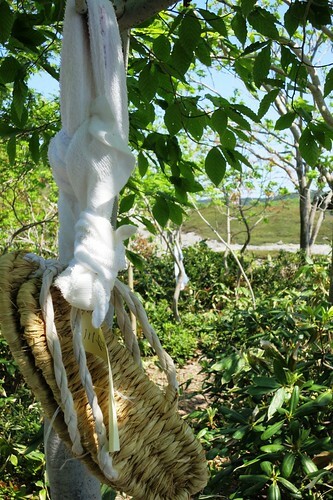 Straw sandals and white cloth tied to trees were also done by the bereaved. Leave them alone. 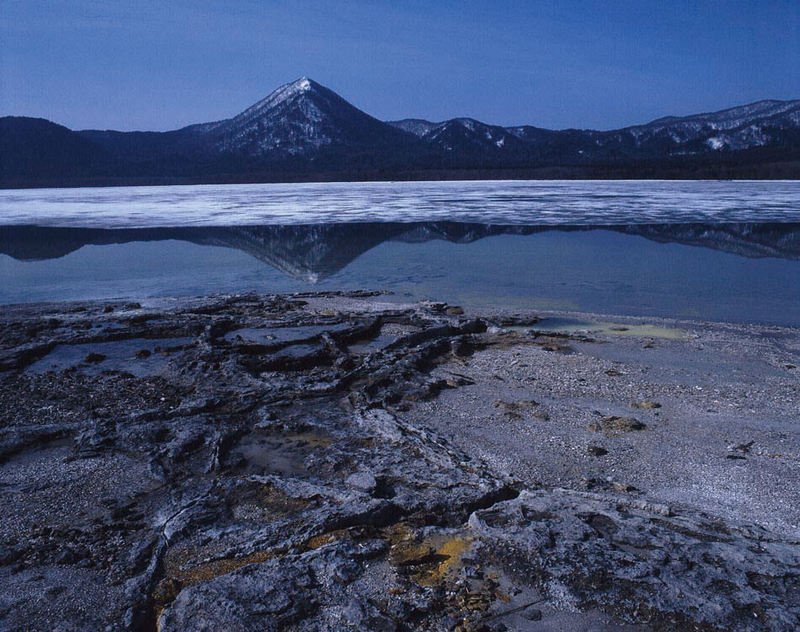 This is an acid lake in Japan with the water pH of 3.4 -3.8, but Japanese dace live in the water. Gokuraku-hama is the Lake Usori-ko's beach. 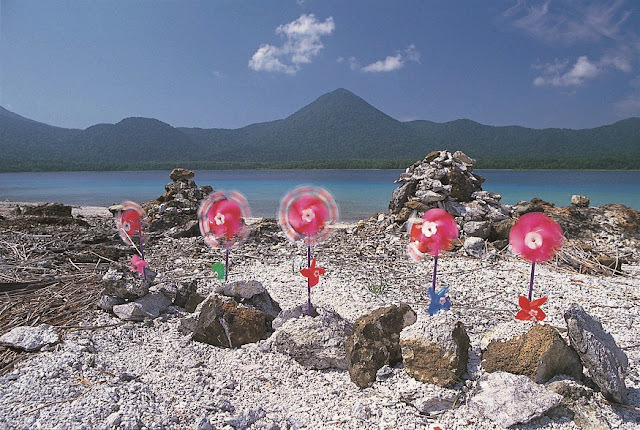 It means the beach of the Buddhists' paradise filled with happiness. 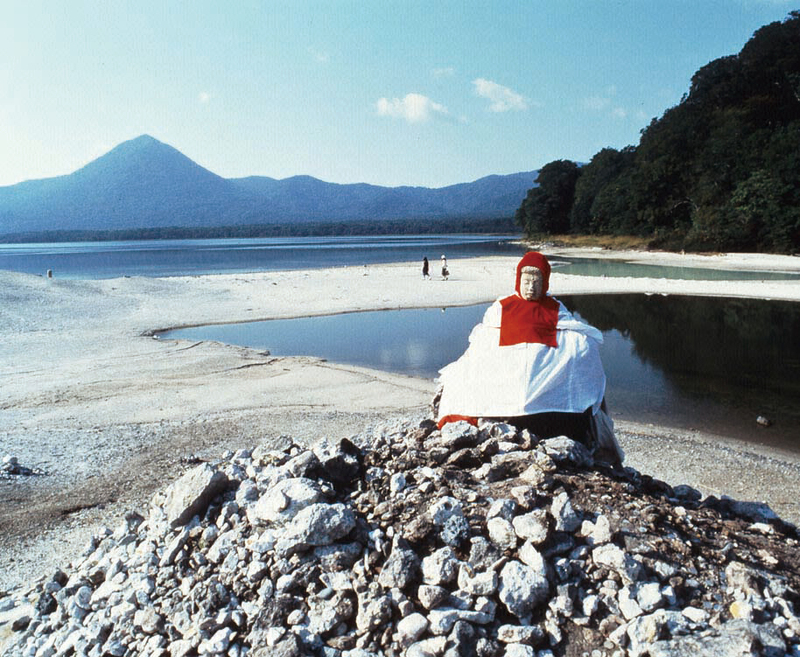 Gokuraku' and 'sukhaavatii' are Sanskrit words used to refer to Amitabha's pure land. This white sand beach is reminiscent of the pure land. The bereaved also burn incense and offer flowers there. The use of fire is limited on the temple's ground because Osorezan is a volcanic area with active sulphur vents. This monument was build on Gokuraku-hama beach in 2012 because the temple's worshippers include the earthquake and tsunami victims. The temple hopes each of visitors will commemorate the victims by putting one's hand into one of 60 different handprints that fits one's size. It is about 4 kirometers away from Osorezan. Legend has it that eating a cup of the water will take off 10 years, two cups wil do 20 years. Many visitors get spring water.